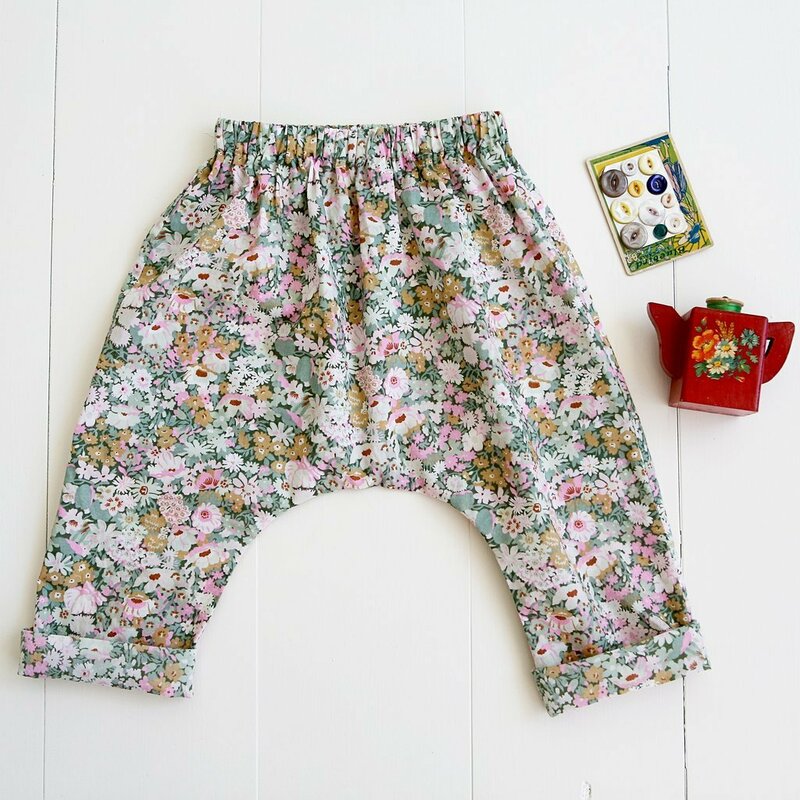 The comfort and ease of these elastic waist pants make them perfect for active babies and toddlers. They're cut slightly long so that they can be cuffed and un-cuffed as the child grows. Beautiful French seams lend the pants an heirloom quality, and their simple construction makes them a breeze to sew. 7 sizes from 0 months to 3 years.